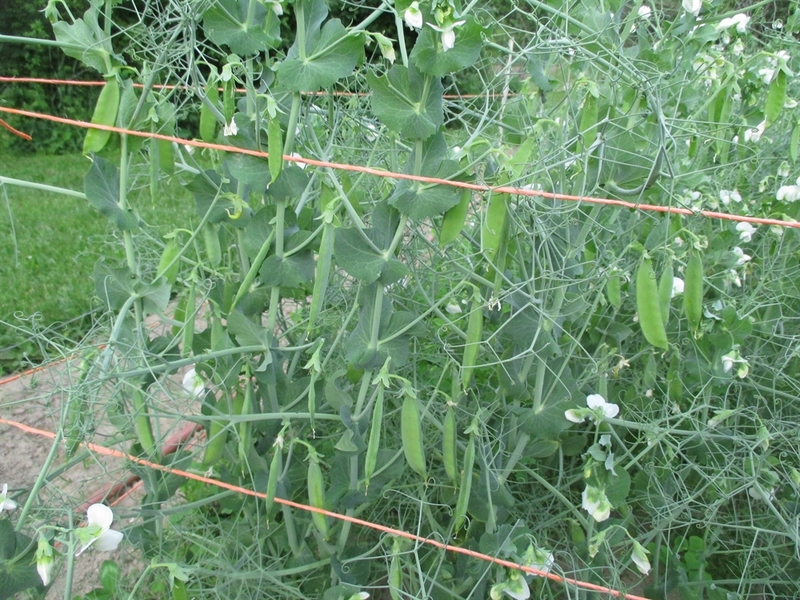 This variety is grown to produce dry soup peas that store well and cook quickly. A good source of protein. 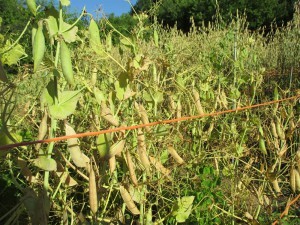 Easy to grow and harvested in early July. 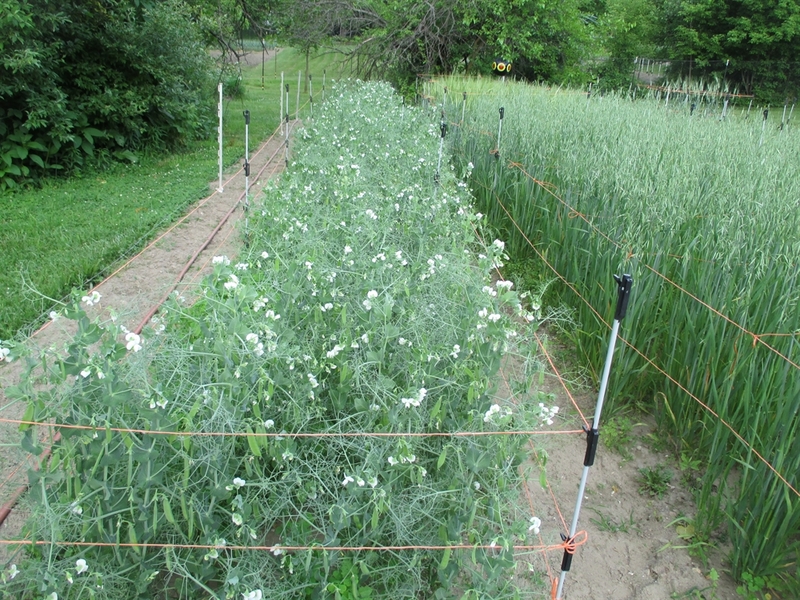 They also work great as a compost crop when grown with a suitable companion, like oats, wheat or rye. Tolerates cool weather and poor soil conditions. 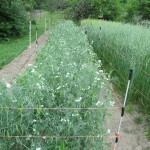 I raise my crop in beds and add support around the periphery to help deter lodging. 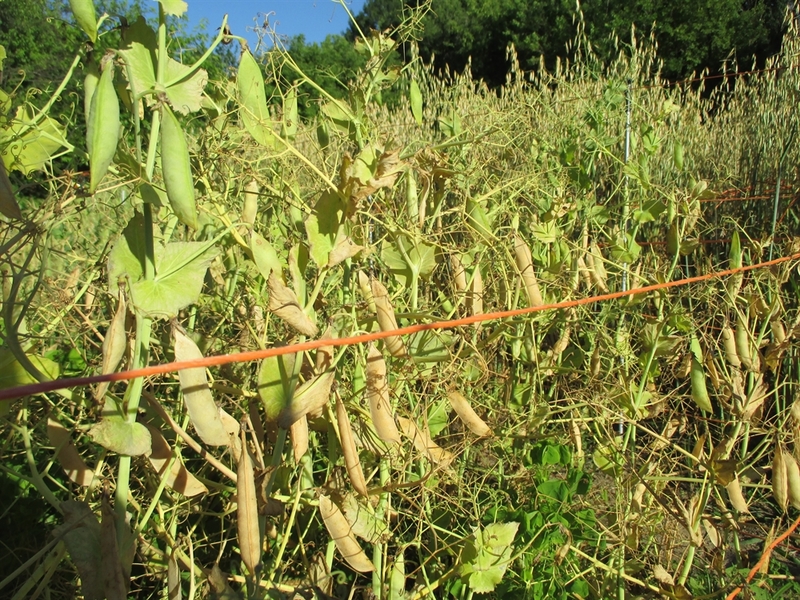 Once the majority of pods are dry and the plants are yellowing I cut the whole pea plant and hang for further drying until the peas can be easily threshed. 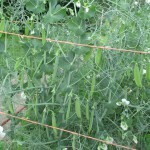 An excellent dry staple for areas with short and cool summers.